Today I am going to chat about my favourite Christmas story. 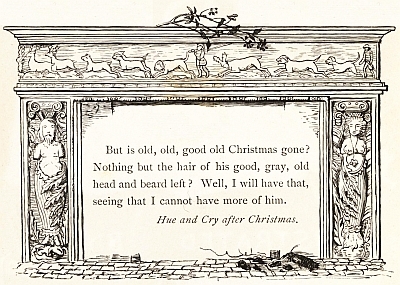 While I love the traditional “A Christmas Carol” by Charles Dickens; it is The one above that I return to every year. In fact these stories precede the Dickens tales by many years. The original Sketch book was a collection of 34 essays published in the early 1800s and included five essays that revolve around Christmas. They are often published separately as Old Christmas. The five describe a visit the narrator made to an old English estate. Bracebridge Hall is remote and to reach it the narrator must travel by Stage Coach where he is joined by some young members of the Bracebridge family whose joy and anticipation soon rubs off on the traveler. They describe to him the pleasure that await him and squeal with delight as the house appears on the horizon. Upon arrival he is thrown into the family celebrations that revolve around games, and food, and drink. In the old tradition Bracebridge keeps Christmas as a time to include the people of the entire estate. The locals are not just his neighbours they are dependent upon The Hall to provide them with work, order, and leadership. But in turn, the estimable Bracebridge recognizes the importance of positive relations in an interdependent society and treats his tenants to a large, long and loud celebration. Unlike the Dickens stories which always have a touch of evil to counter the syrup sweet sentiment these stories have no “bad guy” there is nothing to overcome, they only chronicle the festivities. I think that is what drew me to the stories when I first found them in my 20s. They are an ode to the “old ways” – even to Irving many of the traditions he describes were outdated in his time. It shows to me that as humans we tend to look to the past with a fond eye and all believe the world was once a better place. 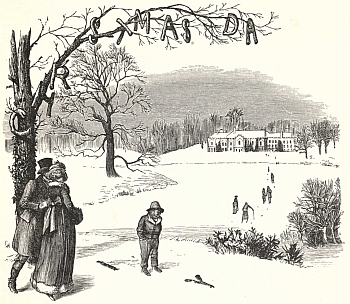 The wasail bowl, the Yule Log, the dance, the feast are all lovingly described and it is hard to not want to step back to that time. Tho the realist in me remembers there was limited indoor plumbing and no electricity. But it is the joy he captures that draws me back to read these stories every year. I have a lovely reproduction of the 1875 version that includes all of the illustrations by R. Caldecott which are themselves a joy to look at. Happily they are available in many forms as open publications so you can find them online for free. This year I have discovered they are also available at LibriVox read aloud. I plan to listen to the tales of Christmas Eve as I bake, and wrap and clean. For me it is pure Christmas spirit.